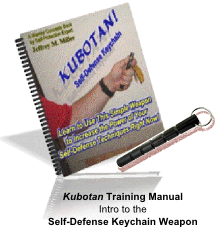 If one were to look around at all of the martial arts schools and self-defense programs that are being offered, you might come to the conclusion that all you need to do to effectively defend yourself against a crazed lunatic trying to kill you is to learn a few moves - a few tricks or techniques - and presto - you're a master!. After all, if that's what everyone else is doing, it must be right. Right? ...do black belts (and lower ranks) get beat up by muggers, street fighters, and others less "skilled"? 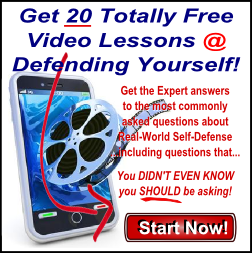 ...do so many people admit (publicly or to themselves) their doubt about being able to act EVEN AFTER taking self-defense training? ...street fighters, special forces, and real experts look at what's generally being taught in martial arts schools and self-defense classes with contempt and disdain? Perhaps it has something to do with a gnawing feeling deep inside that something is missing - that something just isn't right. Maybe it has to do with the fact that real experts - the people who have really "been-there" in real-world combat situations are the ones who really know what does and does not work under pressure - when your life's on the line. But either way, whether we're talking about the novice with a "gut-feeling," or the expert who knows, the fact remains that something is missing from conventional training programs. But, what could that something be? 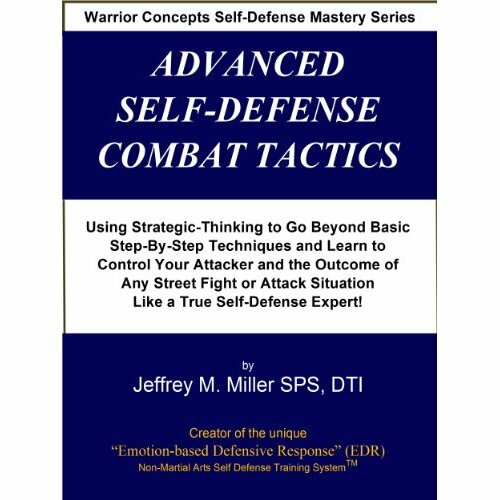 Probably the least known, and therefor almost universally missing element in most self-defense programs, is the reality of natural emotional response that occurs during the stress of an attack. 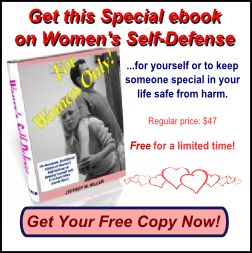 How is it that human beings, THE most emotional creatures on the face of the planet, can neglect such an important aspect in the process of teaching and learning self-defense? Good question, don't you think? The truth is that, with all of our logic and rationalizations, we ARE primarily emotional beings. In fact, in our response to stress, we respond emotionally, at least from a base level of attraction, aversion, and neutral-ness, before we ever access our memory banks for a solution and eventually go into action to solve the problem. Most people have experienced this as the fight, flight, or freeze response. But, just what are the modes that we could find ourselves in when needing to respond to the aggressive actions of an enraged assailant? Confident, Relaxed - In this mode, we really don't perceive a threat. Even though the attacker may be serious, we are not moved and therefor hold our ground with strength, confidence, and presence. Defensive, Emotional - Here we find ourselves overwhelmed by the aggression, size, and pressure put on us by our opponent. 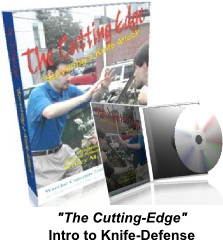 Our bodies instinctively blade to cover vital targets and pull us away to a safer distance. Direct, Committed - In what we call a "fire-mode" of action, we feel ourselves being pulled into the attack with direct, committed action. Out of fear or directed anger, we take a direct approach and "go-for-it." Evasive, Avoiding - In this mode, we want to avoid any conflict as a first impulse. 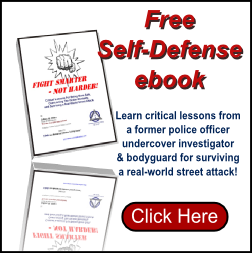 When we can't avoid, we naturally create distance between ourselves and our attacker and use light, evasive, movements to clear the attack and stay away from our assailant's incoming limbs. Of course, our moods and emotional states are in a constant state of flux. Even in similar circumstances, we can find that we feel differently due to the actual person we're dealing with. While one person can make us feel confident, another can have us "keeping our distance," and still others can have us taking the initiative and "moving in for the kill." The important point here, as I've said before, is to be able to operate effectively under each of these emotional influences. 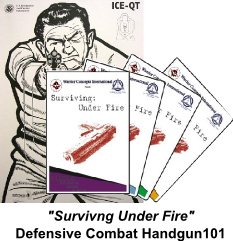 Having, not only options, but understanding that our own bodies may be putting certain limitations and demands on us in different situations, can go a long way in making sure that we get the training we need and are properly prepared to deal with a real situation, against a real attacker, in the real world. Jeffrey M. Miller is the founder and master instructor of Warrior Concepts International. 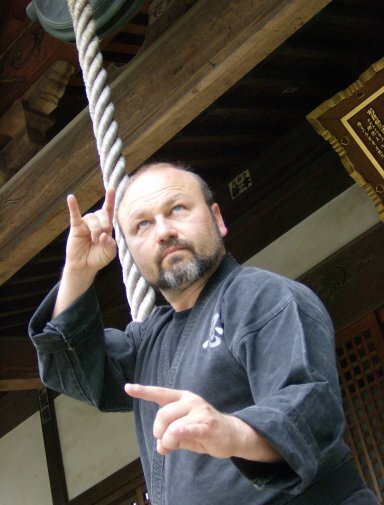 A senior teacher in the Japanese warrior art of Ninjutsu, and a former federal police officer, undercover agent, private investigator, and bodyguard, he specializes in teaching the ancient ways of self-protection and personal development lessons in a way that is easily understood and put to use by modern Western students and corporate clients. 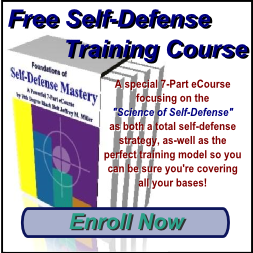 Through his powerful programs, you will learn proven, time-tested lessons designed to help you create the life you've always dreamed of living, and the skills necessary for protecting that life from anything that might threaten it. This article is copyright (C)2008 by Jeffrey M. Miller and Warrior Concepts International, Inc. It is free to use in it's original form, with no alterations or additions. If it to be used online, all links must be active and without the use of "no-follow" type coding which would prevent the reader from accessing the resources being referenced.